I hate to be the bearer of bad news. But if I don’t tell you, then no one else will. Oftentimes you look to your doctor for answers and you’ve been raised to believe that your doctors knows exactly what is going on with your health and exactly what to do about it. But, I’m here to tell you that your doctor and the medical profession in general is more confused than ever regarding hypothyroidism, healthy thyroid function, and thyroid testing. For what it’s worth, it’s not entirely your doctor’s fault. Your doctor is really only as good as the tests or tools he has available to diagnose you with. 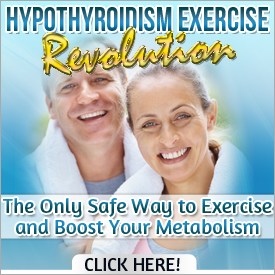 And, the TRUTH is that there really is NO perfect test for hypothyroidism. Don’t get me wrong. The hypothyroidism testing that takes place today is really abysmal. There is so much more the medical profession could be doing to improve their practices but they simply don’t for a number of social and economic reasons. Unfortunately today, improvements in medical science and testing are only considered if they can generate more profit. All thyroid tests have their pluses and minuses, which can be expected. But today we’re so far off the mark when it comes to testing and diagnosing hypothyroidism that it really brings into question whose best interests are at mind here? The issue of thyroid testing has been a hot debate for more than a century. If we can learn anything from history (which we rarely do) we should learn that thyroid tests come and go with the wind. There have been a number of previous tests that have been “accepted” and used as the gold standard in diagnosing hypothyroid for years or decades only to eventually be discredited and deemed useless. So, it’s important to take our current methods of testing with a grain of salt because it’s likely that they too will follow suit at some point in time and be deemed unreliable. Below are some of the commonly used hypothyroidism testing methods and why they are unreliable. 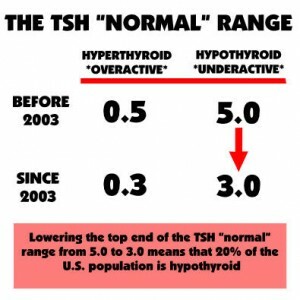 Odds are, if you’ve been diagnosed as hypothyroid by your doctor then you’ve had your TSH levels measured and they have likely been above “normal” (at least their interpretation of normal that is). This is currently the standard test that medical doctors use to diagnose hypothyroidism. And it’s the ONLY test they typically run. If you’re not familiar with human physiology, TSH is a hormone that tells the thyroid gland that more thyroid hormone is needed and to release more thyroid hormone into your bloodstream. So, if TSH is high then this is thought to mean that your thyroid gland is not able to produce adequate thyroid hormone, thus you must be hypothyroid. It’s important to understand that any thyroid test is merely giving you a snapshot of your hormone levels at one single moment in time. And any factor, including the list above, can cause an immediate or drastic change in your hormone levels. So, let’s say you’re under a considerable amount of stress, you’ve caught a cold, or you didn’t have time to eat before your doctor’s appointment… these variables can affect the outcome of your test. It’s also important to note that doctors typically prescribe T4 only medications like Synthroid, which can easily lower TSH without actually improving your thyroid function. Any lab test is only as accurate to the degree that its reference ranges are accurate. And there is a lot of evidence surrounding the illogical reference ranges that have been established for TSH. The original TSH reference ranges were based on the results of the Protein Bound Iodine test, which was one of the many tests that were deemed unreliable. Basing TSH reference ranges on a test that was proven to be unreliable makes the results of the TSH test… unreliable at best! Triiodothyronine (a.k.a. T3) is typically referred to as the “active” thyroid hormone because it is far more metabolically active in your cells than T4, or the “inactive” thyroid hormone. Because of this, we know that T3 is the primary thyroid hormone that your cells use to produce energy. When thyroid hormone exists in the bloodstream, it relies on carrier proteins to move it within your bloodstream and delivery it to your cells where it is used to produce energy. One of the biggest arguments today regarding hypothyroidism is that of the Free Hormone Hypothesis. This hypothesis speculates that only “free” or non-bound T3 thyroid hormone can enter your cells and produce energy and that any T3 that is bound to a carrier protein is unavailable to your cells. However, there have been many studies that have disproven this theory and demonstrated that bound hormones can enter not only cells, but cell mitochondria and cell nuclei. This pretty much deflates the entire idea that only “free” T3 can be used by your cells. Since free T3 accounts for less than five percent of your total T3, testing for free T3 is practically useless for diagnosing hypothyroidism. BMR (Basal Metabolic Rate) Tests were extensively used in the early to mid 1900’s before blood tests were developed. This same BMR test is still being used today and is becoming more and more popular in recent years. The BMR test works by precisely measuring the amount of oxygen that you consume when your body is basal, or completely at rest. Your rate of oxygen consumption can then be used to determine your metabolism and therefore thyroid function. However, there are a number of factors that make this test unreliable. For starters, it requires that your body be in a completely basal state which is practically impossible with this method of testing. The only time your body is truly in a basal state is when you first open your eyes in the morning and before you start moving and get out of bed. By the time you wake up, get dressed, drive through traffic to your doctor’s office, check in, etc., your body is no longer in a truly basal state. So, how accurate can measuring your “basal” metabolism be if you’re not even in a basal state? In order to make this test truly relevant, you would have to have your doctor come to your home while you sleep, and then administer the test upon waking. Even in this scenario, the idea of having your doctor in your home and putting some sort of mask over your mouth upon waking would elicit enough of a stress response to alter the test results. 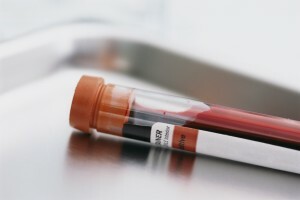 There are a number of blood tests available for measuring various factors related to the thyroid hormone pathway including TSH, T4, T3, reverse T3, T3 Resin Uptake, Thyroglobulin, etc. If you understand the physiology and roles that all of these play within the human body, then you can begin to gain some insight into what the potential problems are that are disrupting your thyroid. However, they do not answer the one single question that continues to elude medicine even today, which is how much thyroid hormone is actually getting to and being used by your cells. There are a number of physiological and dietary factors that can stop thyroid hormone from actually being used by your cells. Thyroid hormone can be blocked in your bloodstream and it can be blocked at the cellular level. You MUST understand that you can take all of the thyroid hormone you want, you can run labs showing you have more than enough thyroid hormone in your blood, but if that thyroid hormone is not being used by your cells then you are still hypothyroid. The perfect test for thyroid function would be to directly measure the amount of thyroid hormone being utilized by every cell of your body. But with billions of cells, this is easier said than done. I think it’s safe to say that we’re not going to see any “perfect” thyroid test any time soon. What Is the Best Option for Thyroid Testing Then? We’ve already established that measuring various levels of hormones in your blood can provide some useful insight, but fails to tell you the most important thing you need to know, which is how much thyroid hormone your cells are actually using. Today, this can only truly be estimated through measuring your Basal Metabolic Rate, which has been problematic because it’s impossible to walk into your doctor’s office in a truly basal condition. Believe it, or not, there is a simple and highly effective thyroid test that can measure your thyroid function in a truly basal state. By simply taking your temperature upon waking, you can quite reliably determine if your thyroid is able to keep up with the metabolic demands of your body, or if you truly are hypothyroid. This is exactly how I work with my clients. We don’t rely on misguiding thyroid tests. We use basal temperature and pulse as well as temperature and pulse throughout the day to determine the metabolic state of the body. By knowing this information, you can begin to use your diet therapeutically to supply your thyroid and cells with the nutrients they need to keep them running in their optimal state, which is essential for the body and thyroid to heal. I have been taking my basal temp for two months in conjunction with blood tests ( TSH, T4, T3′ reverse T’s and antibodies). altering my Armour Thyroid dosage. The previous tests showed my levels all good, but my temp was running below the 97.6. We decided to increase my dosage in hopes of increasing my thyroid function to achieve the normal temp range. To date my temps ARE within the “normal ranges”. I return to the CPRN to get the results of my bloodwork tomorrow. Excited to have my thyroid back!!! I realized this years ago but didn’t have the answer about taking my temp. One friend told me that, but she didn’t give me more info. What is great about your whole program is that it addresses many factors to consider with nutrition and our environment affecting our thyroid. What is armour thyroid? Does synthroid make all hypothyroid patients gain weight and keep gaining weight? Also, after a synthroid dosage increase of one month I have been told my levels are normal but all I feel like doing is sleeping and I play soccer and think I notice that I have a lot less energy a high pulse and weaker strength .. Why is that ? Armour Thyroid is a natural dessicated thyroid source that contains both T3 (Active) and T4 (Inactive) thyroid hormones. Synthroid is a synthetic T4 (Inactive) only hormone. What you are experiencing is quite common. Short answer, Synthroid is suppressing your TSH which is why your tests come back normal but you’re still hypothyroid. Not at all. Thyroid is necessary for regulating much more than just body temperature. I have been hypothyroid for many years I am spitting at 80, I have been on Levithyroxcin 88mcg for a long time, my blood test all come back in normal limits, but I still have almost all of the symtoms of hypothyroid. when I asked my doctor about this, he just said all the blood tests are normal. I am now following your thyroid diet ( just started) but I can tell I am feeling better, but I have a long way to go. I feel I was about at the end of my rope when I started the diet, so it is going to take a long time to come back. Am I right about that Tom? How do I find out about what Diet plan I should be following? HELP!! I am getting tired of being tired and fat all the time. I am currently taking 112 mcg of synthroid and my TSH is still 20. I tried a higher dose but ended up with a 20 hour anxiety panic eppisode. I am requesting to see an endocrinologist a.s.a.p. My thyroids highest was 26 but over several tests and several increases in dosage it is still 20. My T4 and T3 are in the normal range. How is this possible? 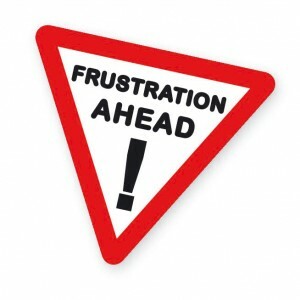 My thyroid has never been imaged so I am concerned that there may be some other problem causing my high TSH, When I see the specialist, what tests should be run first and should I insist on taking Armour? The synthroid side effects are horrible. This isn’t all that uncommon. T4 and T3 ranges are too wide so just being within the “normal” range is not enough. You want to be in the optimal ranges. And T3, T4, and TSH are good data points but they are not enough. I have worked with clients with “normal” TSH, T3, and T4 but their body temperature and pulse were still quite low indicating thyroid and metabolic issues. So use tests as data points but never as the end all be all. TSH can rise under stress and for many other reasons. When needed, we run a number of tests looking at additional hormonal function from the pituitary down to looking at metabolic function. You can use all the thyroid you want but if your cells can’t metabolize it, you’ll still be hypothyroid.